Enjoy simple way of making coffee or tea. Cores C402 Gold Filter with doublewall mug is a immersion way of brewing, like frenchpress. No hassle of getting many tool to prepare just to brew one cup of coffee, just need to prepare C402 filter & mug, coffee grounds / tea & hot water only.Compared to pour over brewing method, immersion way of coffee brewing gives soft mouthfeel and mild flavor. Enjoy simple way of making coffee or tea. Cores C402 Gold Filter with doublewall mug is a immersion way of brewing, like frenchpress. No hassle of getting many tool to prepare just to brew one cup of coffee, just need to prepare C402 filter & mug, coffee grounds / tea & hot water only. Compared to pour over brewing method, immersion way of coffee brewing gives soft mouthfeel and mild flavor. 24k gold plated mesh is highly resistant to chemical reactions. 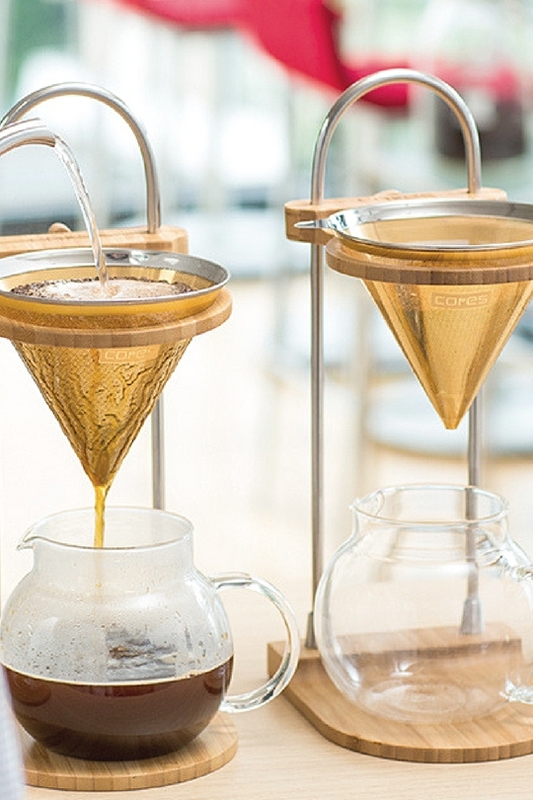 The gold filter prevents coffee from becoming oxidized and brings the best flavor out. Gold also protects itself from mold, discoloration, and odd smell, keeping the filter hygiene. The double wall mug keeps your drink hotter, for longer. It is perfect for anyone who doesn’t like the smell of a stainless mug. EXHIBIT ASIA TRADING ©2017 Nitro.